Last month I went to Outside Lands, a three-day music festival in San Francisco where musical artists from pretty much every genre out there performed on a bunch of different stages around Golden Gate Park. Regardless of what type of music was being played, each stage had one thing in common: Someone (or a lot of people) were standing close to the stage with their phones hoisted to take pictures and shoot video, obstructing the view of everyone behind them. As a shorter person, I experienced the vast majority of the shows during the weekend by watching them through someone's phone screen. Besides being obnoxious, turns out there also isn't much of a point to filming everything. Most people take all those pictures at a concert or museum because they want to be able to remember the event later on. The idea makes sense, but as it turns out, snapping all those pics might be hurting your ability to recall the event later, not helping it. Shooting concerts has admittedly been a pet-peeve of mine for years. I totally understand wanting to snap a picture of how close you are to the stage to show your friends on Facebook, or filming the chorus of your favourite song. However, when you're doing it the whole concert, I have a problem with you. What are you honestly going to do with 1000 mediocre pictures of this band taken with your mobile phone? The answer is nothing. You're not going to watch this concert again on your phone later. You're not going to create a scrapbook or even a Facebook gallery of all these pictures. And let's be honest, even if you did none of your friends want to look at all these pictures. You needed one picture. All the rest were taken just to piss off the people (read: Me) behind you. Linda Henkel, a professor of psychology at Fairfield University in Connecticut, looked at how taking pictures impacts our memory. Her study, in particular, looked at how much people were able to recall from a museum visit based on whether or not they took pictures while they were there. Manoush Zomorodi wrote about Henkel's study in her new book Bored and Brilliant: How Spacing Out Can Unlock Your Most Productive and Creative Self that was recently excerpted on TED's website. Across the board, the people who took a picture of every single exhibit they saw remembered less than those who didn't take a single picture while they wandered through. Those that didn't take pictures even remembered more details about the individual pieces than those that took pictures of that art. "When you take a photo of something, you're counting on the camera to remember for you," says Henkel. "You're basically saying, 'OK, I don't need to think about this any further. The camera's captured the experience.' You don't engage in any of the elaborative or emotional kinds of processing that really would help you remember those experiences because you've outsourced it to your camera." Essentially you're having the camera capture the moment rather than your brain. Instead of taking a picture of absolutely everything, you're much better off taking it in without a camera in your hand. Sure, take that pic or two to share with your friends on social media or show your mum later, but then put that camera away. Zomorodi also suggests going through a "photo detox" where you try and go 24 hours without taking a picture. If you're feeling really ambitious, consider even staying away from liking others pictures places like Facebook and Instagram for 24 hours as well. 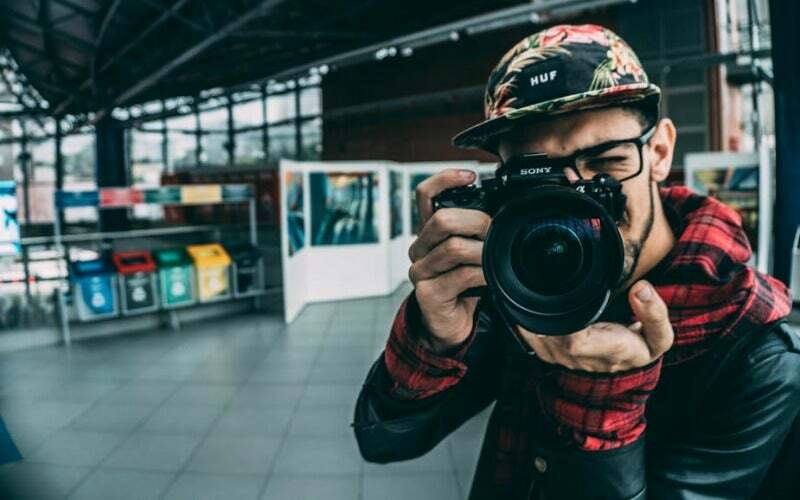 At a minimum, the experience may change how you experience the world around you and help you see what you might be missing by constantly seeing the world from behind your camera lens.